How time flies!!! Christmas is coming soon! The year 2018 will be over in just over 20 days! A New Year is coming. Do you have any plans? Or how are you going to spend Christmas? 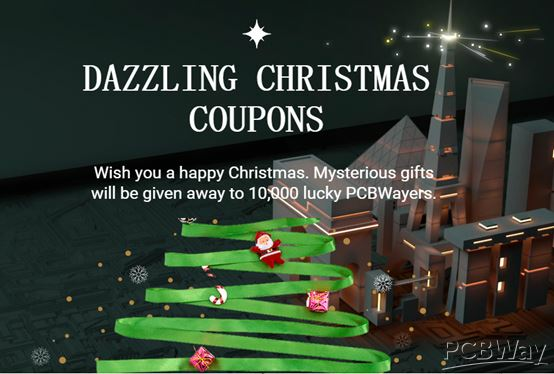 The activity of Thanksgiving Day in PCBWay has just come to an end, and we have already prepared a Christmas surprise for you, which is “Christmas Coupon Wheel---the last big event of 2018”! So, please allow me to introduce the details of this Christmas activity for you all! If you want to collect coupons, please click here: Christmas Coupons Wheel! 1. During December 7 to December 25, each PCBWay user ID can collect all coupons as shown in the following figure, but each coupon can be only got once. 2. These coupons apply to all items (Excluding shipping). 3. Each coupon can only be used once and each coupon is vailed for 30 days. In other words, after you collect the coupon, you can use this coupon within 30 days according to your actual order amount to deduct cash! If you do not use the coupon within 30 days after you receive it, the coupon will automatically expire! PS: We hope that when you collect coupons, you can read the usage rules carefully and use them correctly within the specified period! Thank you very much!! 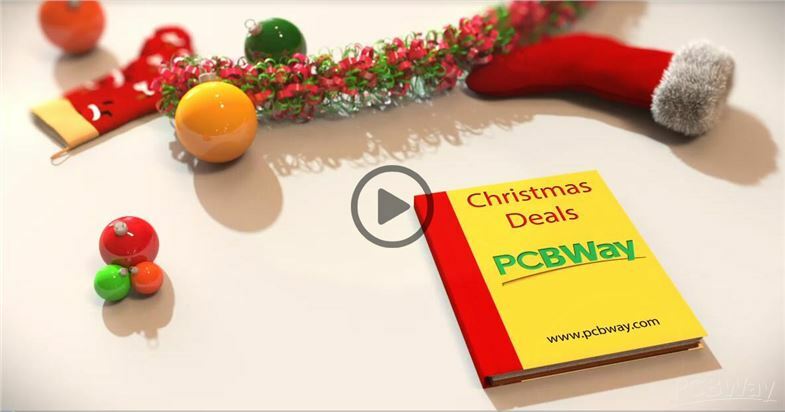 This Christmas activity of this year is to give back to all the customers who have supported and trusted our PCBWay! Thank you for your continuous understanding and support, so that we can continue to improve and improve our service quality and level. Hope all of you have a happy ending of this year and have an excellent beginning of the New Year! Merry Christmas!